Google sites help, inspiration, how to and advice by a google sites help Top Contributor. Change the height of the gadget in both height fields to 380 > Change the width to 300 and make sure pixels is picked from the drop down menu > Untick display the title on your gadget field The just save!Let me know how you get on. Here is the working result! Google Play Music Heads to the UK and Europe Before US! Yippee! Enjoy this excellent news! Yay UK! Here is a tutorial on how to copy your Google Apps For Teams Site as this will be closing on 4th September 2012. for more information on this closure check out the official Google Apps For Teams Administration Help Page. If you want to keep the Google Sites you have created in your Google Apps for Teams account you will need to copy your site to another Google Account by 15th October 2012. Your Google Site name will need to change too. Tip! You need to have another google account ready to copy your site to. Log into your apps for teams site and navigate to the site you would like to copy > click More > Click on the blue button Sharing and Permissions > fill out the Add people field with the email address of your new Google Account > select 'Is Owner' from the drop down menu > then Share and Save. Tip! If you are using a custom domain you must remove it from your site if you want to map it to your new site. 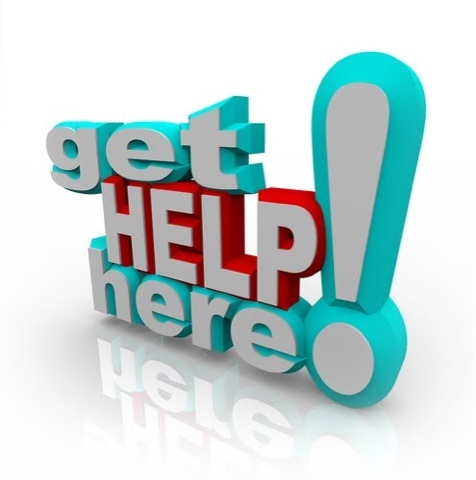 If you need anymore help contact me or remember to visit the official help pages from Google Apps for Teams Adminstrator Help. Please note that if you have a Google Apps Site created in Google Apps for teams your account will be officially shutting down on September 4, 2012. 1.Your Google Apps for Teams account will become a personal Google Account.If your username is not available it will automatically default to user%domain.com@te.gtempaccount.com. You will still be able to log in using the Google sign-in process such as http://www.google.com/docs and http://www.google.com/sites instead of the /a/domain.com URLs you were using originally. 3.Once the changes have taken place you must change your username by upgrading to Gmail or change your primary address to a non-gmail address. If you need a hand feel free to contact me through my profile or my help site. Ok, do not fret you can get metatags in google sites created in Apps, however you may not see the page descriptions box when you click on more > page settings. If this is the case then you need to log into your apps account and make a simple chanage. Go to google.com/apps and log into your apps account in 'domin management' mode. Click on domain settings, the click the radar button readinig Rapid release. All you are doing is giving google the green light to add features rapidly as they shoot along. Good news! Something the Google Sites Top Contributors' team have been asking for (for a long time!) is meta tags for google sites pages. You should now be able to add page descriptions via the "Page Settings" dialog. Click on more > Page settings > Add your page description and save. The thing that takes the time is the content ... BUT you need to make note of the dictionary's description of a meta tag, otherwise you will just be adding mindless keywords which, quite frankly, will look and sound like a big fat spam sandwich. a tag in HTML that is inserted at the top of a Web page chiefly to describe its content and provide keywords for use by search engines. So, describe the pages content, briefly. It really helps if the content of your page has original content in the first place, then naturally your meta tag will also me original. The content of meta tags is often used in search snippets too (aka search results text). So, let me know how you go with this new mega exciting new feature! Just replace the bold text with your copied image url from step 1 making sure you leave in the surrounding " ". And of course change the text to your own words. 3. All You Need To Do Now Is Save! Oh And Enjoy! For examples, ideas, inspiration or pure google sites indulgence here is a google sites directory. Together we can make this the biggest google sites directory. Please note that this directory is not affiliated with google and is not responsible for the content in any of the sites listed in the directory. If you are the owner of a site on the directory and you would like it to be removed please email office@webprincess.co.uk requesting to remove the site. Well quite often people have problems editing their site, my first advice is always clear your cookies, history and cache. So I thought it would be helpful to collate together here all of the OS (Operating System) instructions. So hit the link and get spring cleaning! Howdy peeps, long time no speak! Navigate to your google site in edit mode > click on more > click on manage site > click on site layout > look for the sidebar section > click on add side bar item > when the pop up box appears scroll down and select +1 button by clicking on the add button > the item box then shows under the sidebar menu, you can click and hold onto it and move it up or down depending on your preference > then remember then to click the save button at the top of your page! For screen shots and more info click here. Now google sites allows you to upload multiple files and this is how you do it! And then you are done! Good news! 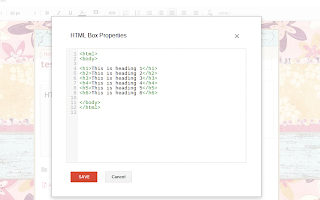 You can now insert html using google sites new HTML, CSS, Java Script gadget. Go to your chosen page, ready for it's makeover! Click in the content area > Click on edit > html > copy and paste the code below into the html, make sure it's the very first line > remember to save your changes! 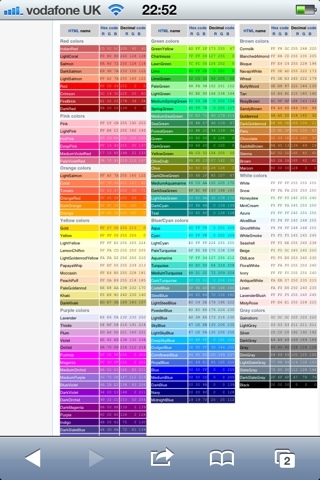 For a range of colours look at the wicked wiki link below ... be sure to use the hex codes ... Simply replace my chosen colour's digits C0C0C0 with your six digit hex code, make sure you leave the # and the rest of the code in tact. Please do comment in here a link to the pages you have made over with this trick! I look forward to seeing them! New Feature Alert! Feedback on tap! 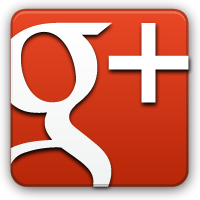 Please find here a way to report your issues.... straight to google! It's like a direct call through the bat phone. Don't expect a response though, it's simply a data gathering tool. So if a lot of sites users are having the same issue it gets escalated to the sites techy team quicker, faster fixes, less stressed users! Ok, so navigate to More > Report An Issue. Fill out the form and submit! ...and you're done. New Feature Alert! Help on tap. Contact forms are so important! And it is simple to integrate them with your google site. Get a discussion going! Be interactive. 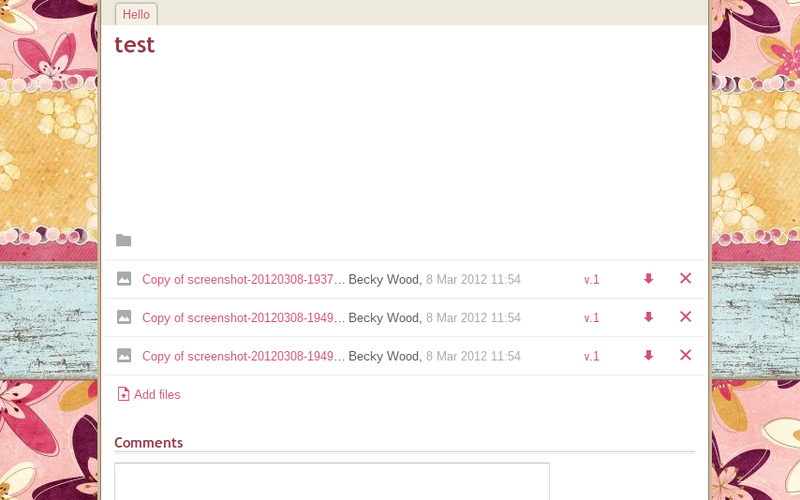 2) Is use wufoo, my favourite .... here is one of their forms in action, and you auto get an email notification. Any problems just shout, you know where I am. Although this feature has been out for a while I thought I would remind you, if you have not yet done so to "switch on" mobile viewing for your google site. It's really easy to do. 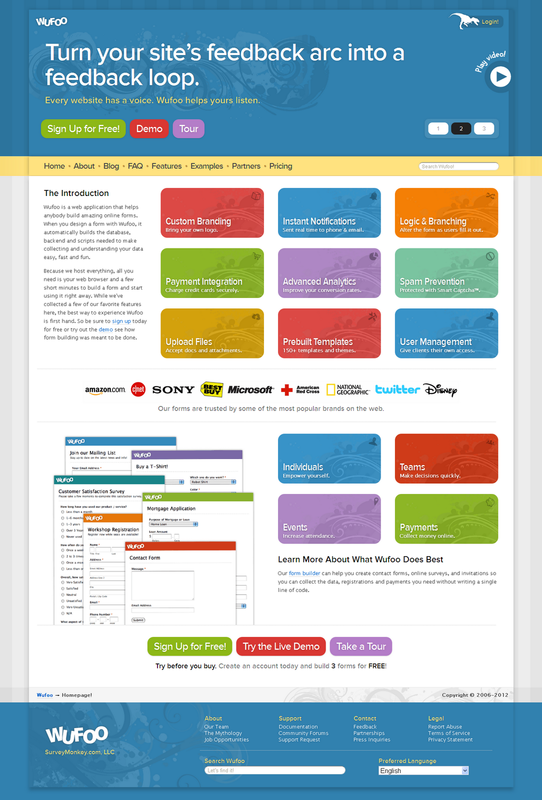 Now reach for your moby and take a peek how your site looks! I think sites with the horizontal navigation look best on a smart or android phone. When giving view permissions I have some advice for you before you go ahead. Each user would need a google account. They don't need a gmail email just a google account. Therefore you could create a google account using your aol email for example. Any easier option would be to consider making the site "only available to those with a link" instead. Click on share > click on the drop down menu > select only those with the link. Don't forget to save your changes. Delete is a dirty word! I had an experience where i deleted a site which was mapped to a custom domain and really struggles to reuse the domain ... Silly Beckystar! Anyway ... Now soft delete has been introduced it's not that bad. If you delete and change your mind you can restore the deleted site. Tip! Don't delete make your site private instead > hit the 'share' button > change the site from public to private. This will at least be an archive and an ideal way to restore or use the content if require. Ok, back to the original inspiration for this post ... How To Delete Your Site! Hit the more action button > click on manage site > click on general in the side bar > scroll half way down, blink and you'll miss it ... Hot the delete button. You can recoverthr site up to 30 days after the delete but after 30 days the site will disappear into the ether forever and you will not be able to reuse the name either. I hope this info's useful. ... while you're here why not add your website to the unofficial google sites directory? It's free and takes seconds! Add Your Site - It's FREE! I just put together a little treat for you ... an unofficial google sites directory! Check it out here! It's easy to get your site added to the directory whilst you are they, it might even help you get some eyeballs on your site! Add a facebook like button - it is easy! Go on, go the whole hog and insert a facebook like button by generating one on this site - it is really easy! 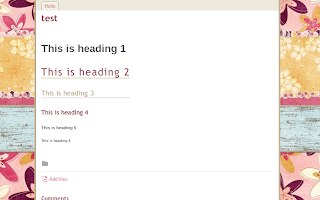 Insert > more gadgets > search for iframe > paste the code in and customise the width and height. TIP! The width and height are written in the code so easy for you to find! 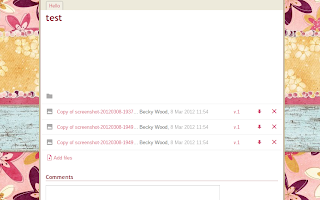 Just a note to let you know i'm not a prolific blogger, honest! I just transfered my posts from elsewhere hence why the dates are all clumped together! 2) Submit a site map to webmaster tools. Just hit this -> Submit a sitemap It takes a short time, it's easy to do and will make a MASSIVE difference to your sites visibility. Be warned however if you have a custom domain eg yoursite.com make sure you submit that to the index not your sites.google.com/site/yoursite url or your GS url might be riding higher than your custom domain! 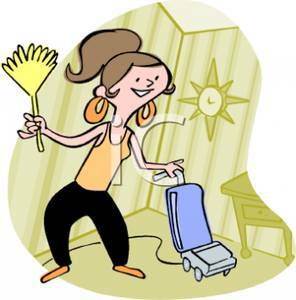 There's no magic wand but with time and effort you'll get the visitors you need. Like a blog, an announcement page display posts you create. you could use it as a news page, to record meeting notes and agendas, as an online journal or just to keep your site users wanting to come back for more .... I can't stress how important it is to post, just once a week .... To get hits why wouldn't you? Ps - Let me know how you get on. There are a number of reasons, here is one. You can not reuse the name of a previously deleted site ... Something you need to think about if you ever decided to delete a site. You can then your google site with it. Then it really doesn't matter what your google site url is. Alternatively you could create a similar name. Let me know how you get on? This is a good post for beginners. Ok. When looking at your website in edit mode you can simply click on edit side bar under the actual side bar! Simple as that. 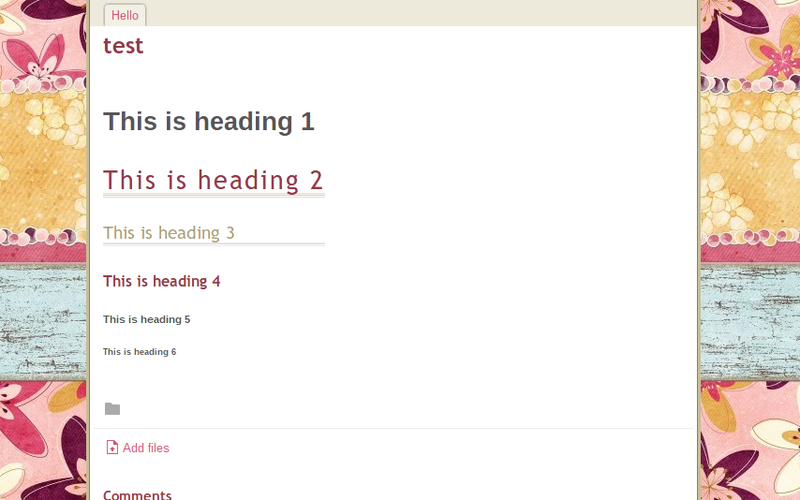 More > manage > site layout > you can edit the side bar from there. 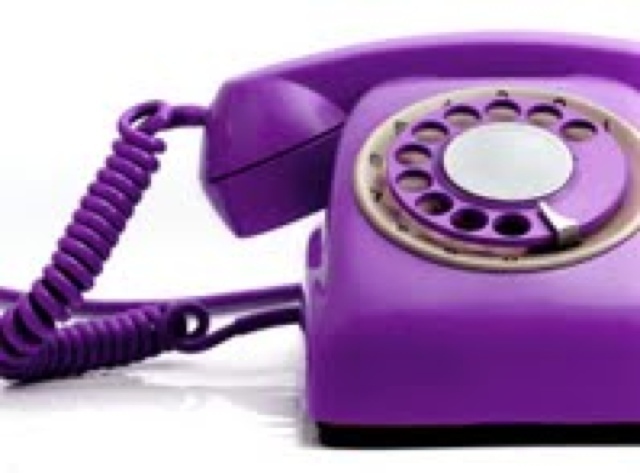 Wouldn't it be great for potential new clients to be able to contact you immediately if you are online the same time as them? Get a skype button, they can easily be used on your google site, blog or even in your email signature to let other people contact you easily. Enter your skype name > Select the button you would like to use. I am using a button which shows my skype status. 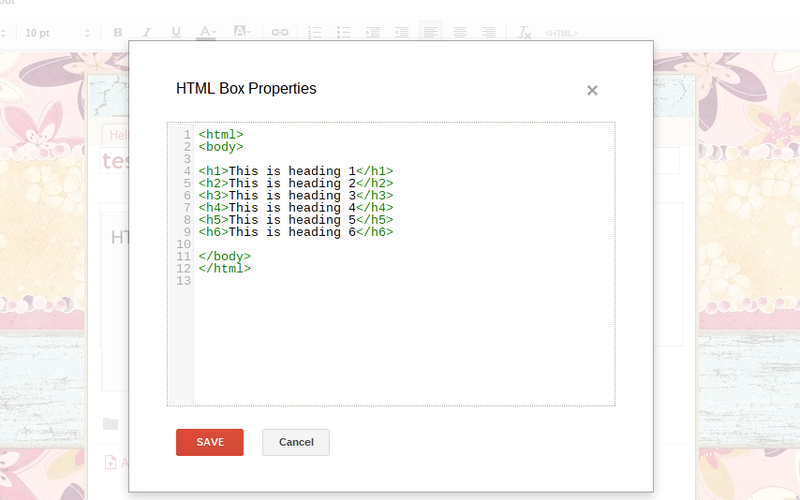 Click in the web html code box and copy the code that has been automatically generated. Now navigate to the page on your website where you would like you skype status button to appear. Finally, click ok, save and enjoy your skype button!! Also add your google site to the new google sites directory, or check out some of the sites for inspiration. Take care and I'll blog again very soon. As always if you have any questions or would like a topic exploring let me know! Click on add a site and add the site you want to sumit the sitemap for. Once you have done this click on the site link on the dashboard page > clilck on submit a sitemap under the sitemap column bottom right hand of the page. Click on submit a sitemap button. Click on submit sitemap on the right to add it to the list of sitemaps. .... it takes a fews hours or even days but eventually you will see your sites pages found from the site map when you return to webmaster tools. Let me know this works for you. Google docs forms work hand in hand with google sites and are a favourite to clients wanting to contact you. Forms are quick and simple to fill out but what about the replies? So, here is how to find out virtually straight away when people fill out and hit submit on one of your google doc forms! Once you have created your form close the window by hitting the big red cross! Open the spread sheet which contains your once filled out forms data > choose share > set notification rules > select "A user submits a form" option and how often you want to know, straight away or a daily digest. Remember to save your changes! picnik.com Slideshow, No Flash, No Clicking Noises, No Link To Albums! Yippee! - oh, plus they look good and they're free! Ok add a picnik.com sideshow to your google site which continually loops, does not link to your photo album and auto starts when the visitor accesses you page. Go to picnik.com and create your slideshow, then click on share, select your size and copy the html code. Go to the page on your google site where you would like the slideshow to appear > edit page > insert > more gadgets > featured > select embed gadget > paste in the html code > customise the gadget by unchecking the title box > also change the size of the gadget to the size of your slideshow, to get the size carefully read your pasted in html code and it will tell you the height and width! Remember to save and you're done. Let me know how you get on. Google have added a feature which allows you to hide 'Sign In, Recent Changes or the Print Page etc' links from the automated Google Sites System Footer. It's easy as 1, 2, 3! 1 Once you are logged in to your googles site click on more actions then click on manage site. 2 Click on the General link on the left of the screen, then scroll down to the bottom of the page. 3 Click on copy this site, fill out the new name field, decide if you want revisions and sharing linked to the copied site, enter the verification catcha code then click on copy site. Well I have lots of memories of help needed on how to line up text and pictures and sometimes clicking on an image and selecting "wrap on" is not good enough when designing your google site. Perhaps you want to add some thumb nails of pictures with a description underneath, or, maybe you want to create a four column look like Perfect Square Solutions' site which will brilliantly advertise your services. To create the effect choose a one column area within your pages. Click in each cell columns and add text and pictures. I would recommend your pictures should be around the same size, your pictures should also be centralised. How you have them is up to you, have a play! Text looks good lined up to the left as http://www.perfectquaresolutions.com/ have done and so has my example which is looking something like this now, is yours? Albeit a little tricky keep clicking around the bottom right hand corner of each cell at the top of your table until you select each cell, then stretch it by dragging it a little to the right to fill out the space, do this for each cell until the whole of the one column width is filled out and all the cells are equal in size. Make sure you are 100% happy with the look of your table and position of your pictures and text. Get out your magic wand as we are going to erase those harsh black borders of the table! With a sprinkle of fairy dust on your computer > Click on HTML in your page editor. Click update, then watch as you admire those ugly lines disappear ans your site tranforms to the fairest of them all! Now remember to save your page, tweek if required then sit back and admire your handy work. I promise you the next time you do this you will be a pro magician! Insert more gadgets > click on featured in the column on the left > type in the search bar "google docs for hosted domains" and select the gadget. Customise the size of the gadget and ok, then save the page. You might not see the list straight away as it might contain a part page asking you to log in, instead log out of you google account and revist your website and admire you handy work! Click edit page > insert > more gadgets > search "Iframe Wrapper" > select > enter the URL customise the display ok and save. How To add a Table of Contents - Help your users find what they want, encourage them to spend more time on your pages and make a return visit! It is a great way to help your users navigate around your page easily, you then stand more chance of them staying on your site longer and returning as they will remember it was an enjoyable experience. Continue repeating the process for the rest of the items that you want to appear in the Table of Contents. Click ok and remember to hit save > sit back and marvel at your handy work, tweak where necessary .... let me know how you get on! Click on "change site layout" button > tick "horizontal navigation"
You then need to add your pages into the menu. Just click on "add page", pick your pages to upload to the menu, you can only add one page at a time, be patient, it is a labour of love but well worth the effect! Click on the right arrow, you will see the page name that was bold is now not bold and it's indented to the right. Repeat the process until you have uploaded all your pages. You can click on the left arrow to remove a page from the drop down menu. Click ok and then remember to click on save changes before you return to the site to inspect your handy work! So I came across this gem of a company whilst surfing the information highway. You can download and customise their legal documents and then add them to your website, getting you covered in minutes completely FREE! It will make also make your site look pro too! Make sure you leave the link in to their site on your document, that is all you have to do! No registering etc so super quick! Enjoy! Website-Law.co.uk say ! "Welcome to Website Law, a website dedicated to helping web developers and webmasters ensure that their sites comply with the varied and ever-changing requirements of English law. Although it is relatively simple to create and publish a website, the legal consequences of those simple acts can be complex - and potentially expensive. A myriad of different UK and EU laws intrude upon website design, domain name choice, website content, sales from websites, and indeed every other aspect of ecommerce and online activity." Here's a quick easy and fun walk through for you .... a favicon means favourites icon, when you look at my website address in the top address bar of your browser you will see my logo a little orange crown on a white background, that is my favicon. Then log into your google site, click on More Actions > Manage Site > Attachments > Click on upload > Browse > Select your favicon file from your desktop. You might wonder what now, but that is really all you have to do! It might take a while to refresh > sit back and marvel at your favicon when it eventually appears, I was really chuffed when I did mine, it really does look like you made it in the internet world! Any probs let me know. Add Twitter, Facebook & Other Social Media Buttons In One Go - everybody is doing it, it&apos;s expected and it gets your site eyeballs! Forget Fancy Sliders, Using A Google Presentation Looks Just As Cool! www.webprincess.co.uk. Picture Window theme. Powered by Blogger.